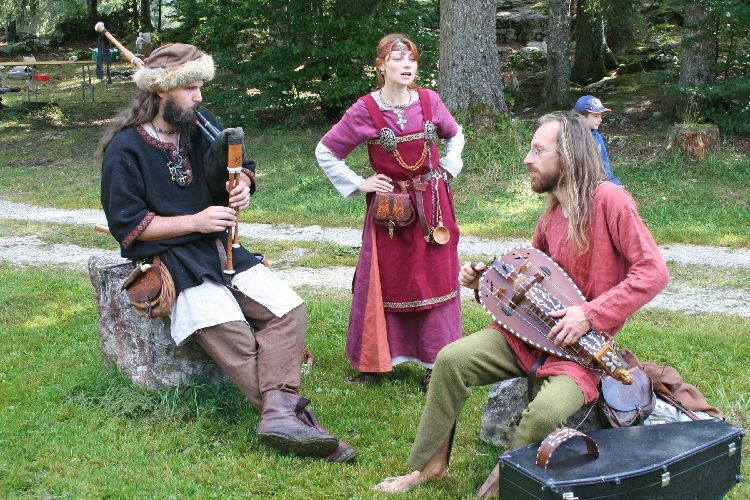 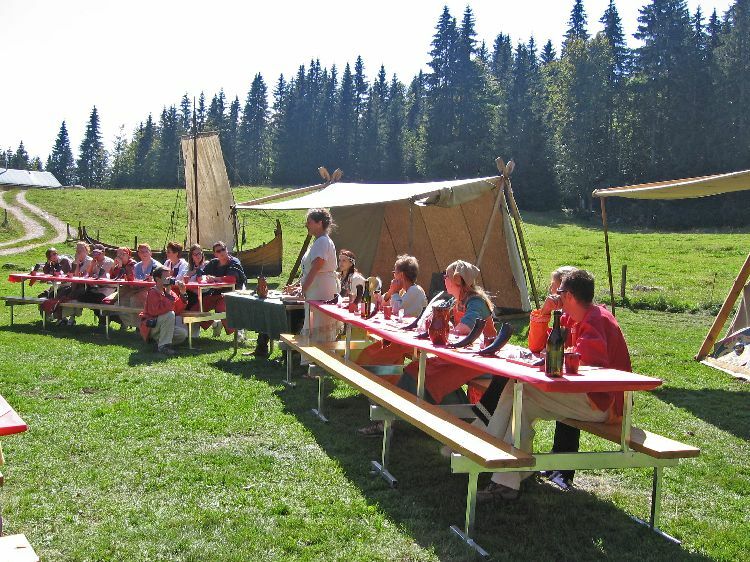 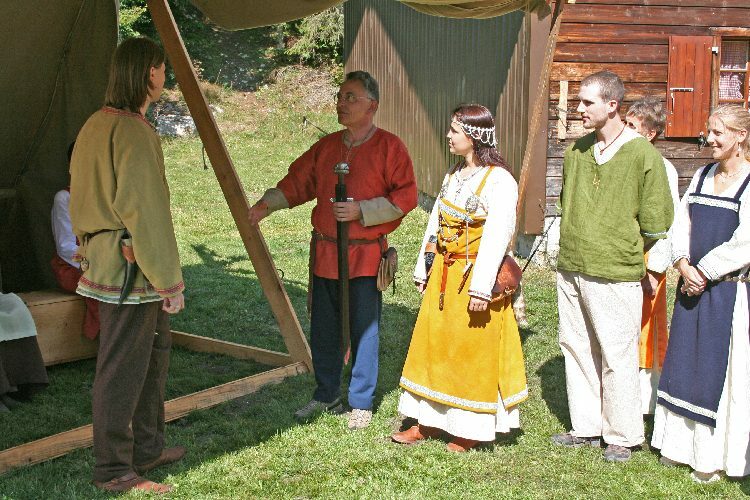 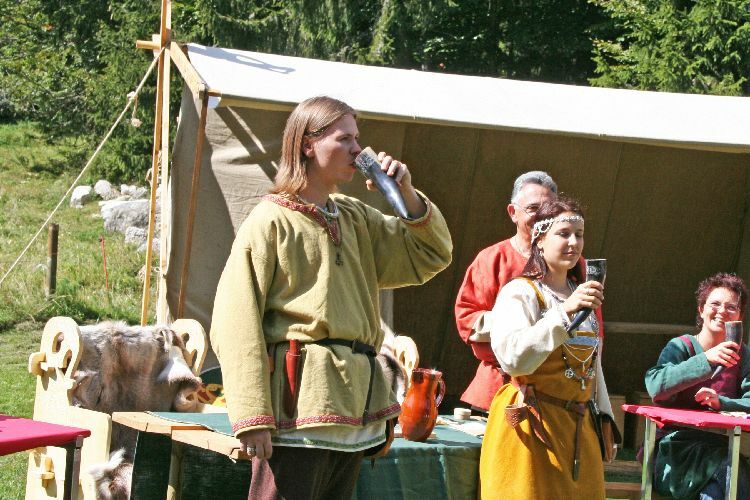 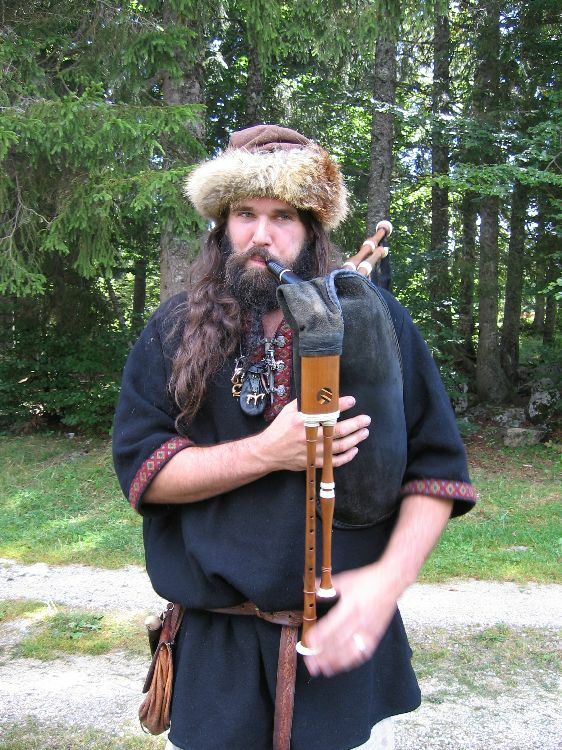 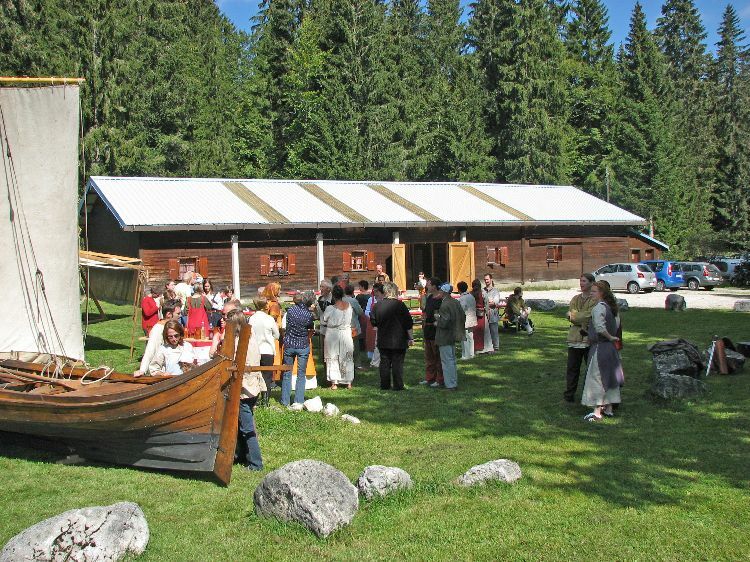 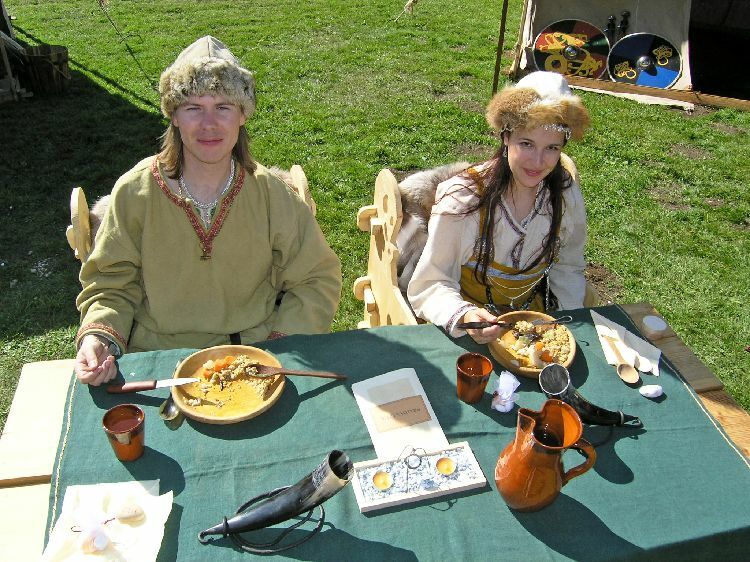 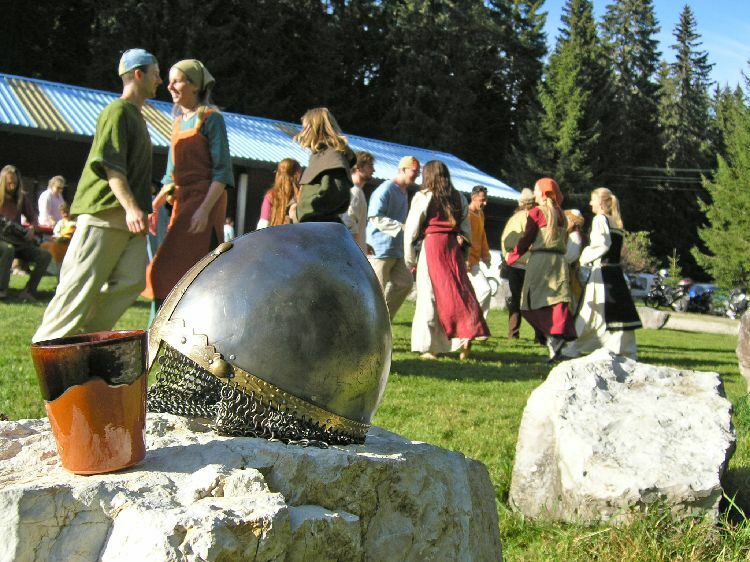 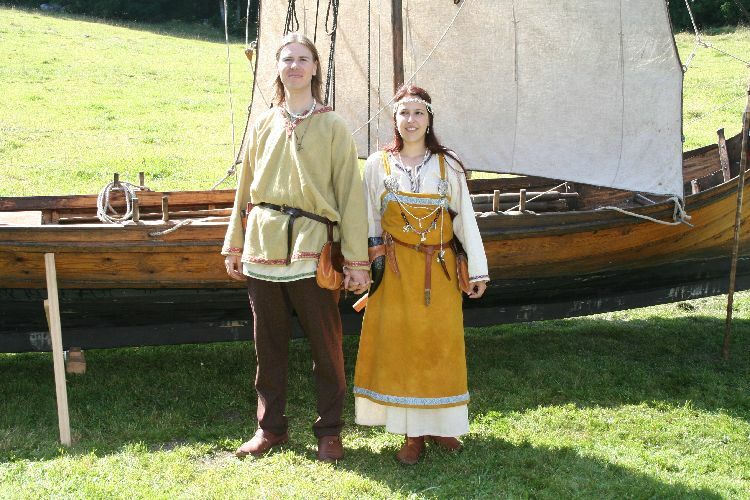 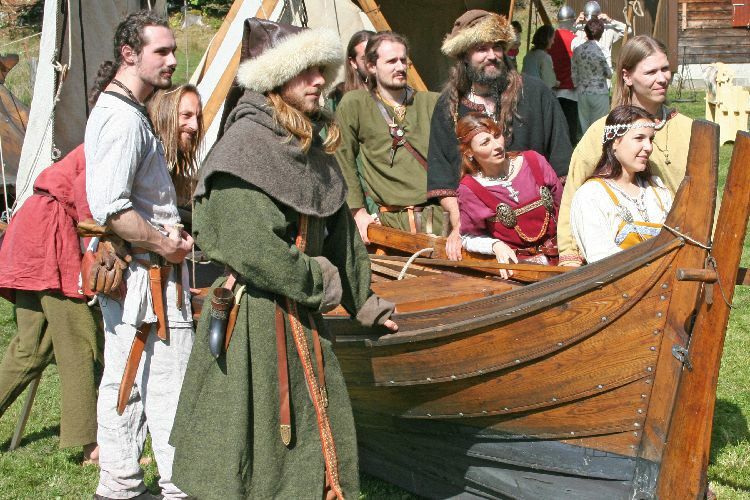 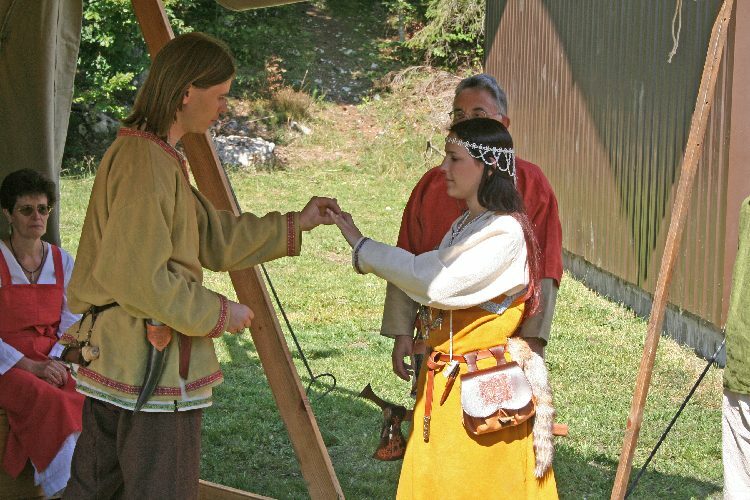 In autumn 2007, Ingunn and Ketill had their wedding. 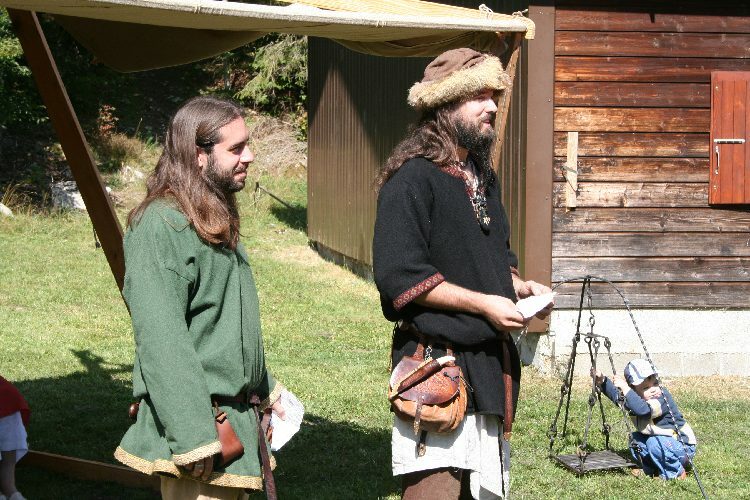 We wanted to hold a viking ceremony and to do so, we read and gathered what little historical material existed on this subject. 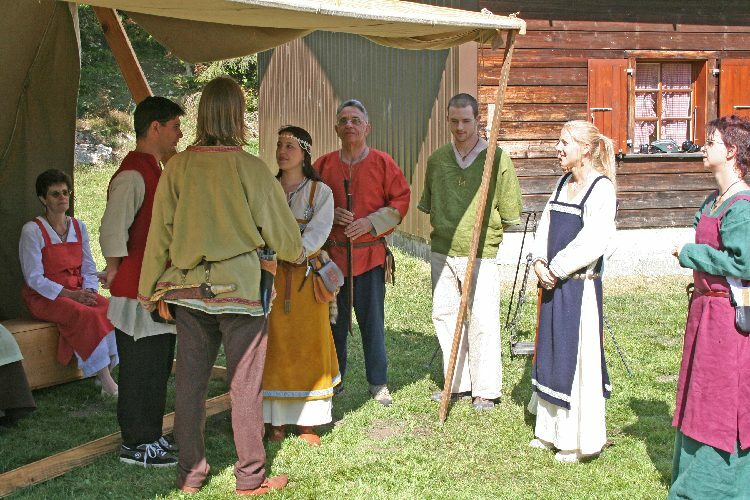 For want of solid proof in litterature or in archaeology, we were forced to recreate a ceremony from snippets of information, our general knowledge of the period and our imagination. 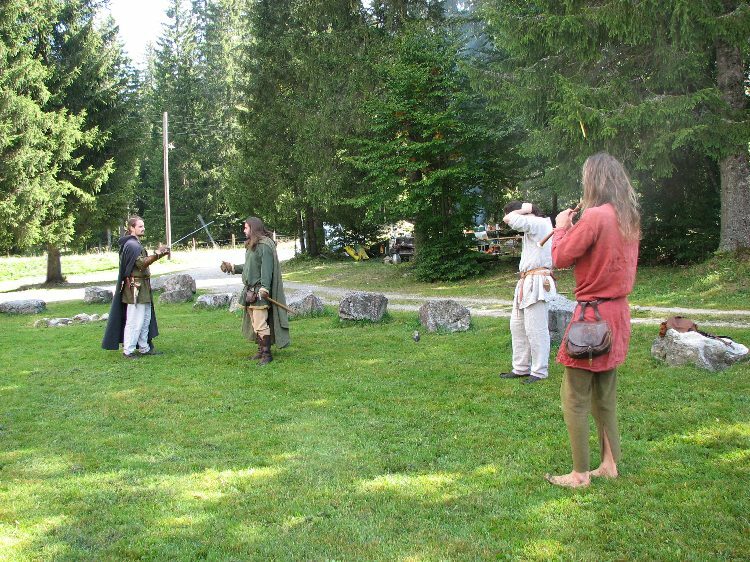 A fair part of our guests agreed to play our game and come with a costume to add to the feeling of immersion and to the event's credibility. 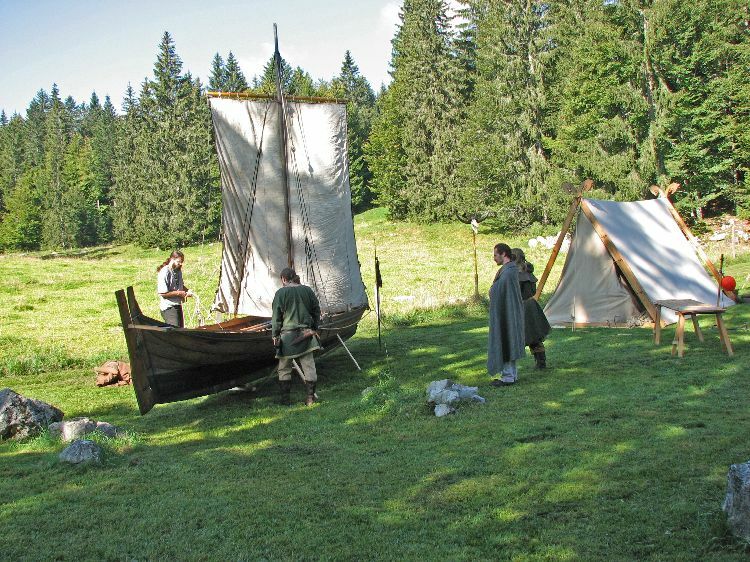 A small camp was set and Fenrir was around as well, although the place we chose didn't have any lake nearby. 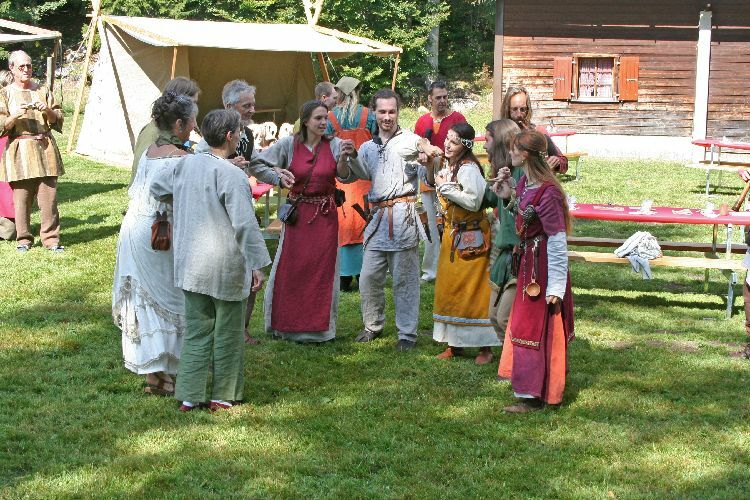 Ceremony, stories, music, dances and good food kept the gathering happy and we received nice comments afterwards, concerning the sense we managed to give to this extraordinary ritual. 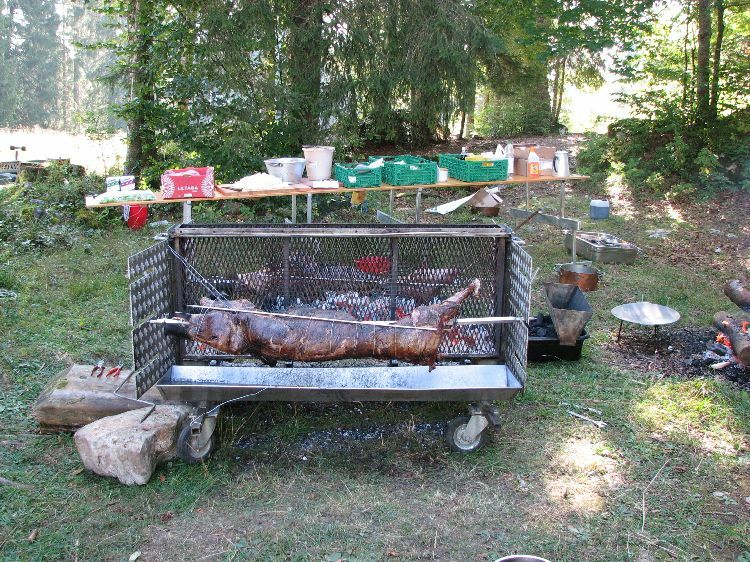 You will find a selection of images of this big party below.